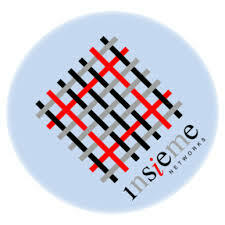 Insieme Networks, a Cisco subsidiary, has been working on technologies that will influence Data Center and Cloud environments. The company which is run by Cisco engineers Prem Jain, Luca Cafiero and Mario Mazzola has built its focus on the integration of physical and virtual parts of the networking infrasture into a new architecture, the Application Centric Infrastructure (ACI). ACI is a systems-based approach and not box approach, according to Insieme’s Senior Vice President Soni Jiandani. The architecture targets data centers and applications hosted by cloud providers with Insieme’s Nexus 9000 line being the first products which will be based on ACI. The line contains switches in standalone mode based on merchant silicon and ACI mode switches. The ACI mode switches will include Insieme ASICs which will provide buffering, VXLAN routing and virtual output queuing with APIs being published to allow for integration of third-party applications and extensions for ACI products. Products based on the ACI architecutre are intended to reduce provisioning time to minutes allowing servers and switches to be changed with no need for re-designing of data models and application connectivity requirements. By simplifying the infrastructure, the architecture provides application administratin, common policy management and security with future specification to include compute and storage. Proponents of SDN include VMWare/Nicira, Facebook with the Open Compute Project, PlumGrid – a startup which includes former Cisco engineers among other startups acquired by Cisco’s competitors. Cisco views SDNs and software-only overlays as falling short of network virtualization. Extensive reasons have been cited including lack of scalability, loss of visibility between the application service and the network, hypervisor-dependent, focus on a restricted subset of programmability for applications in the data center. Previous articleNokia making an 8 inch Windows RT tablet?